My chief complaint with Overwatch since the beta has been the lack of Overwatch action figures. And while Nendoroids aren’t quite what I had in mind, they are certainly better than nothing. Good Smile Company announced the deal today, and while they’ll be making a whole line of figures, the only one shown—and the first to be released—is Tracer. Look at those cute lil’ guns. And those cute lil’ knees. And her hair moves. The SWOOSH behind her is a nice touch too. It’ll be $50, and out in August. 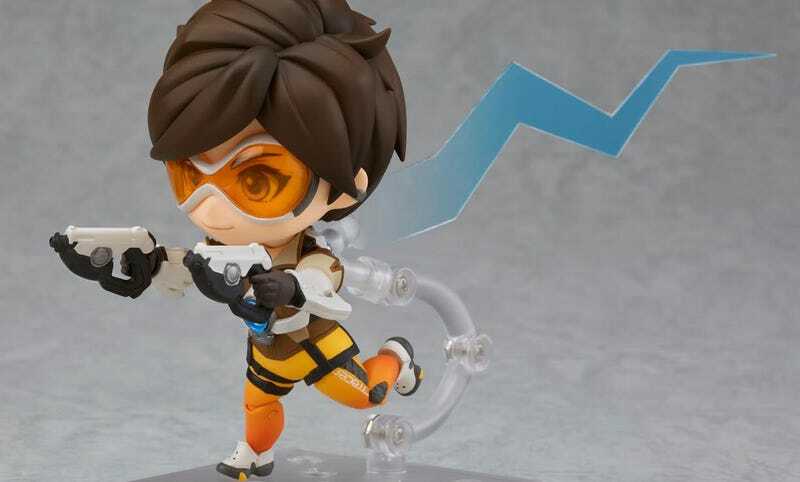 Ominously at that price, it’s officially called “Nendoroid Tracer: Classic Skin Edition”, so get ready for 1000 more over the next few year as they cover the best skins from the game’s events.